Do you want to make a difference in the lives of people with disabilities? Functional Training Services is a private Vocational Rehabilitation Agency serving the Central Ohio community for over 25 years. We're hiring full-time job coaches and job developers in our Columbus office. Job coaches provide extra training and support to people with disabilities in community employment situations in order to ensure they learn their jobs effectively, and continue to support them as they maintain their positions. Must be open to working a varied schedule depending on the needs of the individuals you are serving. Experience and/or education in social services, education, or training preferred. Bachelor's Degree preferred, but will also consider Associate's Degree or some college if applicant possesses applicable work experience. Clean criminal record, valid driver's license, and good driving record required. This is a rewarding position that offers daily variety with competitive pay and benefits. Job Developers provide job seeking skills training and one-on-one assistance to people with disabilities as they support them throughout the job search, application, and interview process. The goal is to assist the job seeker to secure a position that is a good match for their abilities, strengths, interests, and needs. Typical work hours are Monday through Friday from 8:00am to 4:30pm; may vary occasionally. Experience and/or education in social services, education, or sales/marketing preferred. Bachelor's Degree preferred, but will also consider Associate's Degree or some college if applicant possesses applicable work experience. Clean criminal record, valid driver's license, and good driving record required. Do I have to pay for programs and services at FTS? Typically third party payors, such as OOD, absorb the cost of FTS programs and services for the job seekers we work with on a regular basis. You are welcome to contact FTS for more information at 614-262-9669. Our staff will then refer you to OOD to determine if you qualify for program participation. Find out more about OOD programs and services by visiting their website HERE. FTS is not a staffing agency. We do not place people in available jobs. Instead, we utilize a combination of job search expertise and employer contacts to attain the agreed upon employment goal. The length of any participant's time in a program depends on a variety of factors, including individual needs, skill set, level of engagement, labor market fluctuations, job demand and more. 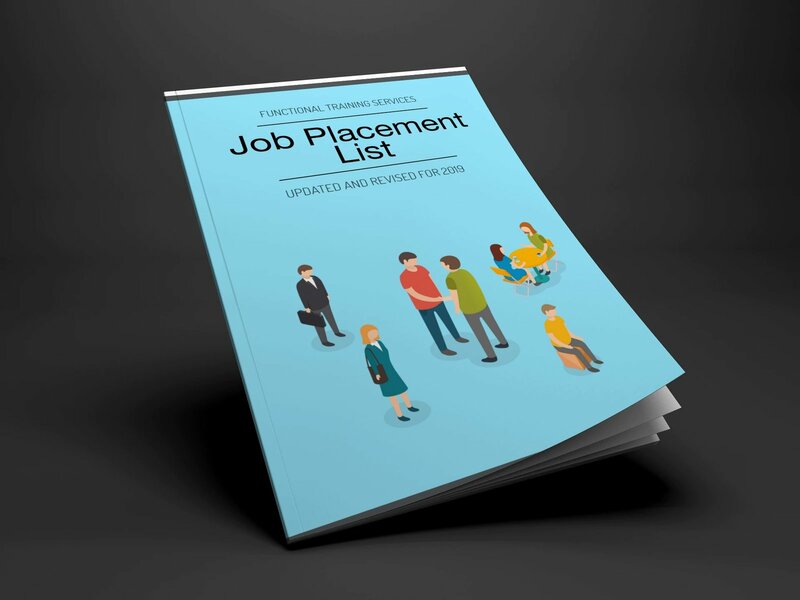 Placement is not guaranteed, however, FTS has a proven track record in assisting job seekers secure, viable employment that contributes to both independence and self-sufficiency.